Clitheroe Rugby Club are in full preparation mode for the new season which starts in just a few short weeks. There are plenty to get excited about at Littlemoor for the 18/19 season, with a new league set up and new opposition to play with some tasty local derby matches to whet the rugby connoisseur's appetite. Then a Christmas wedding to negotiate mid season. All that cake could play havoc with the body fat %! But I'm sure he'll do the front row union proud on all counts. In the 2nd XV, popular larger than life lock forward Kirk Kenyon (bottom left) has been selected for his first time leading the troops. A vital, but demanding role for the Club as a vibrant 2nds squad is essential. Again the big farmer is ready to lead from the front, especially as hard preseason fitness work is begin to reap dividends. Expect straight talking and hard graft on the paddock but plenty of 'third half craic' afterwards. The 2nds continue in the Halbro Leagues in Division 4 as last season and look forward to playing the open fast flowing game they are renown for. With KK at the helm anything is possible. 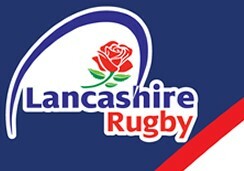 The 1st XV have moved into the newly formed Lancashire County League set up and will operate in ADM Division 1. Somewhat controversially 20 Lancashire Clubs took the brave stand in setting up outside of the regular RFU Northern Leagues to cut down on the extremes of traveling. It is a new beginning but has been well orgainised so far, with the tacit blessing from HQ at Twickenham. Some old and some new places to travel and new faces to welcome. And as for those tasty derby matches ? Burnley at home on the 6th October is a red letter day plus with the like of Wigan, Thornton Cleveleys and Ormskirk to face – it will be an exciting but testing time at Clitheroe. The seaon opener is at home v North Manchester on the 8th September. On the coaching front, we have re-engaged Iain Harris (bottom right)– the former Scotland B international and Tyndale player to be lead coach. A job he did admirably for us about six years ago. As a fly half by trade we can expect the all moving along the back line – or there will be trouble. Physio Eve Parkinson (top right) is continuing for another season looking after the players injuries and rehab, and hopefully keeping them available for selection more often than not. It's also a major year for Colts rugby at Clitheroe. This year a senior colts (U18) will be running for the first time, with a large chunk of the last seasons Junior Colts making their way up in the rugby world. They will be operating in the Halbro Colts League alongside the likes of local rivals Burnley, Colne & Nelson and Bury. Under the continued captaincy of fly half Joe Wilkinson it will be a defining season for these young men. Kick off are Sundays at 2pm. Other big news from this extraordinarily hot summer is the drainage system, under the watchful eye of groundsman Phil Isherwood, which has been installed on the Littlemoor pitch. Hopefully it will mean the infamous 'sago pudding' will be a thing of the past, but only time will tell. The Junior section will be recommencing very soon after the holidays and with age groups from U7 through to U15's playing and training on Sunday mornings there is something for everyone. With more sponsors jumping on board to partner us going forward and a new shirt sponsor to be announced shortly, things are progressing nicely at Littlemoor. Senior/colts training is Tuesday/Thursday at 7pm and new or old faces of any standard are most definitely welcome.